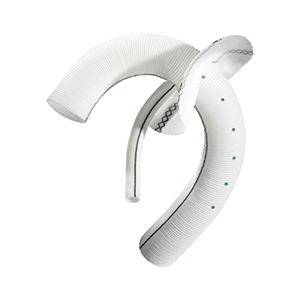 The Siena graft, with radiopaque markers is indicated for elephant trunk procedures. Facilitates the hybrid technique to be performed more easily. 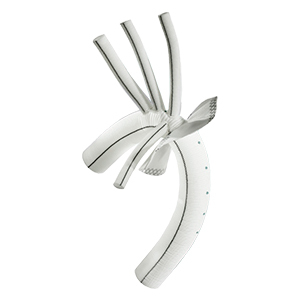 Collar compensates for diameter mismatch between distal aorta and graft. Allows the surgeon to correctly locate the distal tip of the arch graft that is floating in residual portion of the aneurysm after stage one. Defines the proximal safe "landing zone" limit for the endovascular graft so that it does not cover the arch vessel branches.